Mobile app development is one of the fastest developing industries with new platforms and new apps launching every day. Therefore, to succeed in this fast-paced world, it’s important to go for Cross-platform app development to produce better ROI and engage the target audience. Emerging technologies have changed the way we live our lives, and mobility plays a crucial role in transforming the digital landscape. This is the reason why several organizations are massively investing in mobile app development to drive their business. Enterprises have begun thinking about the mobile-first approach to remain ahead of the competition. There are two things that a business needs to focus on to survive in this fast-paced world – target audience and the type of mobile app development to go with. Today, every organization aims at developing a glitch-free app that runs on various mobile platforms to connect with a larger audience and cross-platform mobile apps appear to be the ideal solution for this! This is the reason that in the past couple of years, cross-platform application development has gained popularity in the corporate sector. We will be taking a closer look at the upside of the cross-platform for businesses, but let us look at the challenges that you might face while developing the platform first. A couple of years back, the cross-platform app development was constrained to make simple mobile apps and games. Over time, emerging technologies have made cross-platform development more adaptable, powerful, and flexible than before. Performance hiccups because of inconsistent communication between the native and non-native components of gadgets. Performance-related glitches can lead to poor user experience. If your business app manages more of a corporate and the user’s data, then going for cross-platform apps is not a good idea as per security concerns. 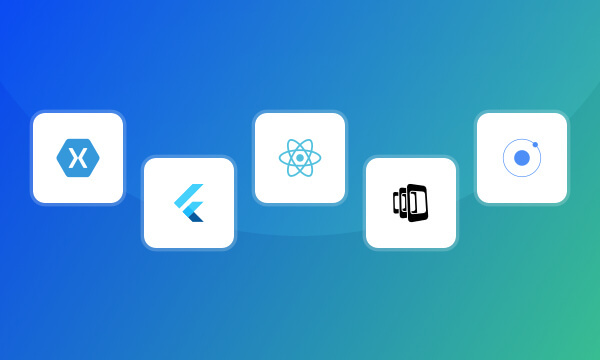 Leveraging a cross-platform approach enables you to build an app and deploy over various platforms, including the web. This means that by building a single app, one can target both – iOS and Android platforms, thus, maximizing their reach. The main objective of cross-platform technology is to deliver native-like apps. 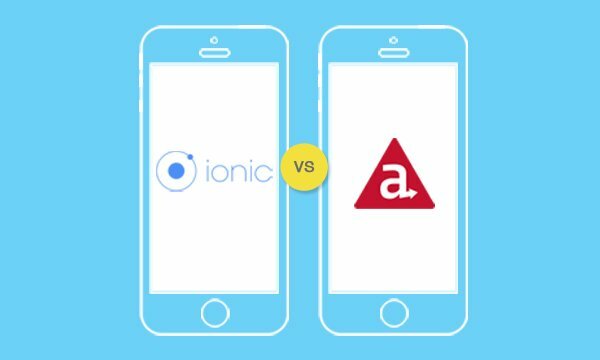 Thanks to the advent of advanced tools and functionality, developers can build cross-platform app, which may appear similar to native apps. The cross-platform app development is based on a concept ‘write once, run everywhere’. Reusable codes and agile app development through tools can lessen the cost of development. Therefore, in order to improve your business on multiple platforms and tools in a cost-effective way, there is no other alternative to cross-platform apps. Since there’s only one developed app that runs over all platforms, it is easier to maintain as well as deploy code or changes made. Updates can promptly be synced over all platforms and devices, thus saving time and money. Moreover, if a bug is found in the common codebase, it should be fixed once. In this way, developers can save a lot on time and money. The quick development process is another win-win situation when it comes to developing cross-platform apps. Single source code for multiple platforms can help reduce the development efforts by 50 to 80%. 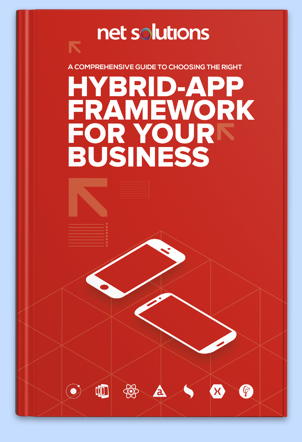 It helps you to get a feature-rich business app in less time. The team of developers can meet the expected deadlines in cross-platform app development. Another good thing about this platform is that the code can be used again and again. Instead of developers developing new codes for every platform, a single code can be reused. This saves time as well as resources because it eliminates repetition in the task of creating codes. Cross-platform mobile apps are totally compatible and can take benefit of various plugins integrated with the cloud settings. In other words, the single source code is coordinated with various plug-ins and extensions to enhance the app’s scalability and functionality. As we mentioned above ‘write once, run everywhere’ is the concept that is followed while building cross-platform app development. It allows app developers to reduce Time-to-Market (TTM) with a quick deployment. Also, if you need to transform or customize the app, it’s easy for the developers to do the minor changes in a single code. This, further, helps to deliver products more swiftly than the competitors by improving customer engagement. Users can recognize user interface (UI) elements, and foresee their interactions over various platforms. Therefore, User Experience (UX) is one such thing to consider for any app or software. It’s hard to sync the various development projects while developing multiple apps. 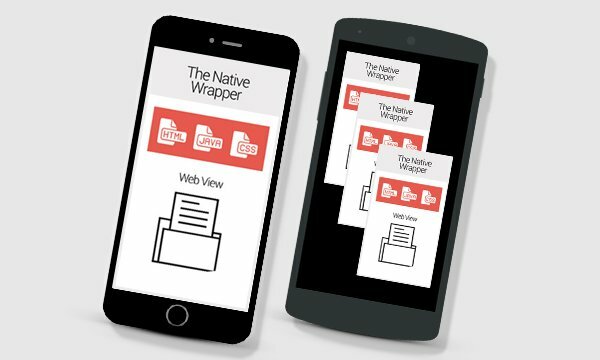 Cross-platform mobile development tools allow developers as well as designers to make a uniform user experience that app users can enjoy. Nowadays, businesses face a huge lot of competition and their main focus is on the target audience to stay ahead of the curve. The cross-platform approach has been accepted by developers as it makes the whole development process easy and agile. By following the above-mentioned benefits of cross-platform app development, companies can lead to faster development speeds and cost-effectiveness. How do you find the blog? Is it beneficial to you as an entrepreneur? Do share your feedback in the comments section given below!